The Trash | Track project was conducted in partnership with Waste Management, Qualcomm, Sprint and the New York Architectural League. Our cities, buildings and objects are getting ‘smarter’ and embedded with an increasing amount of electronic devices. Yet, new devices make old ones obsolete, and carry ever more batteries, rare metals, and other hazardous materials themselves. 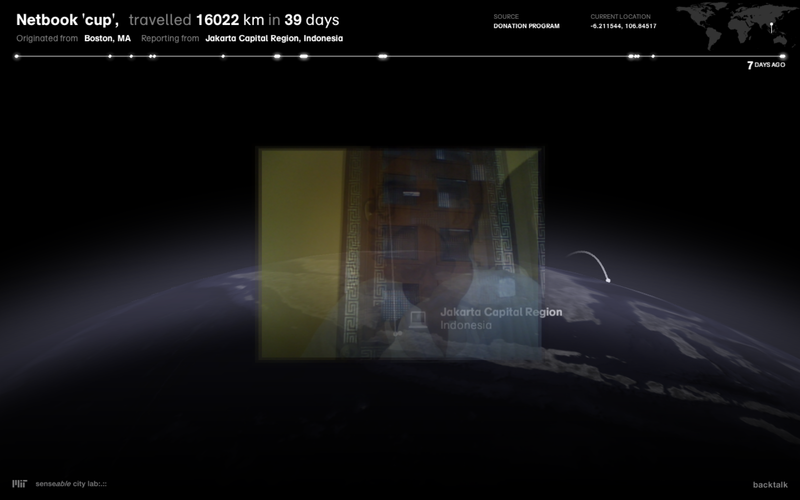 What happens to this digital refuse at the end of its life? What happens when we give it away, dispose of it properly, or just leave it on the curb? Does it get reused, or does it end up in a global e-waste dump? 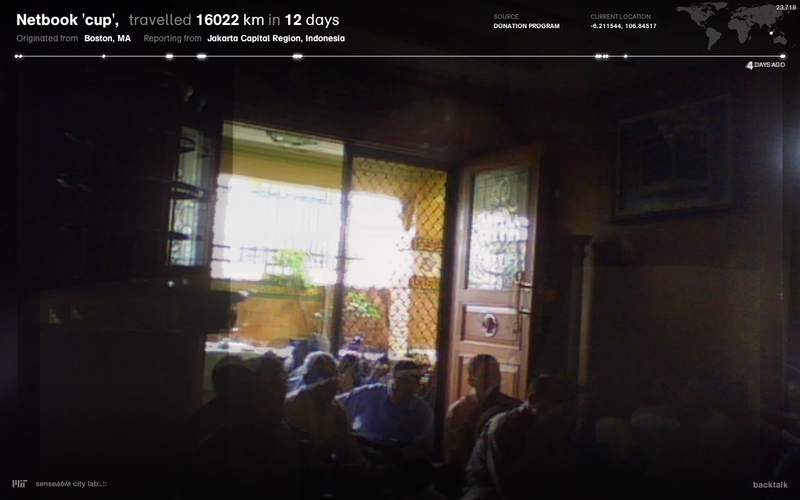 We turned used laptops and other electronic devices into independent reporters that document their ‘second life’, sending us images and GPS coordinates from remote places. The information they report back offers first-hand perspectives - glimpses into e-waste recycling villages, local thrift stores, public schools and libraries - that prompt a reflection on our society’s relationship with our electronic devices. We focused on two common scenarios that apply to obsolete electronics: e-waste disposal in urban centers, and the reuse of functioning devices in developing countries. 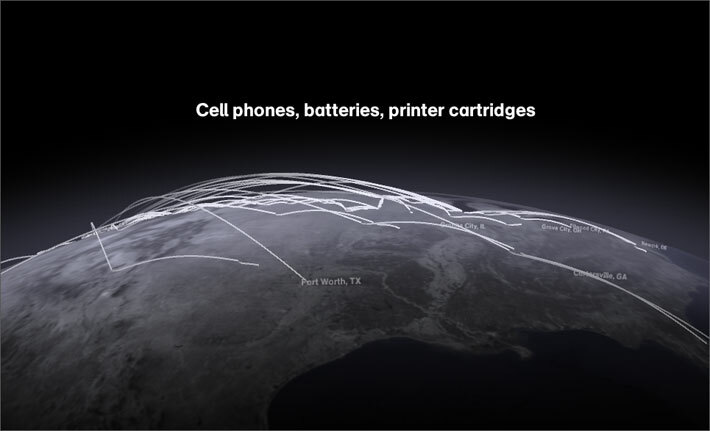 By collecting information form these devices we set out to investigate one of today’s key unknown stories – that of global e-waste. 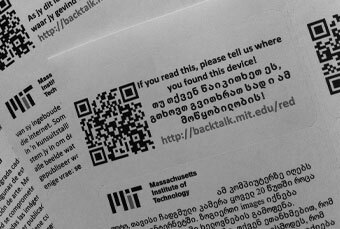 The project is currently exhibited in the Museum of Modern Art (MoMA), Talk to Me: Design and the Communication between People and Objects. Starting in Spring 2011, we started working with electronics recyclers and educational non-profit organizations who donate outdated computers to developing countries. We equipped forty refurbished netbook computers with tracking software adapted from the open-source Prey project. Every twenty minutes, these laptops send us their location (determined using Google’s geolocation API) and a picture from their built-in camera. The volunteers and recipients of these machines were fully informed about what these computers do and the goals of the project. 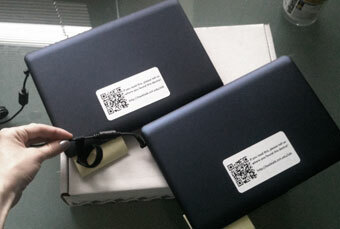 In addition, we attached stickers to each laptop explaining the project in the local language. Volunteers used the laptops for work and study in their classrooms and libraries, from their homes and on the road — sharing glimpses of everyday life in their cities. One reason why obsolete electronics are transported over large distances is the sparse geographical distribution of dedicated recycling facilities. For example, only thirteen facilities in the world are certified to smelt and recycle the cathode ray tubes of old television sets - and all are in Asia. For these components, environmentally sound recycling is critical, since the glass of these TVs and monitors can contain up to 20% lead by weight. In this project we tracked the movement of electronic and hazardous waste items coming from households in Seattle, using small battery-powered GPS trackers. The objects included cell-phones, laptops, batteries and spent printer cartridges. 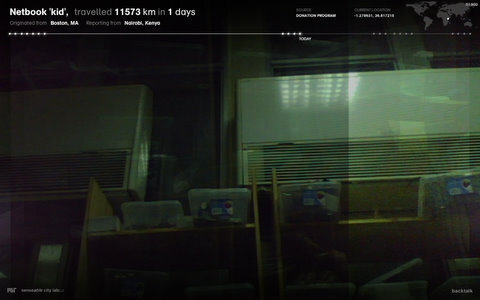 The location reports sent to us by the trackers offered unique insights into the e-waste removal chain, revealing the routes these devices travel and the facilities that receive them. 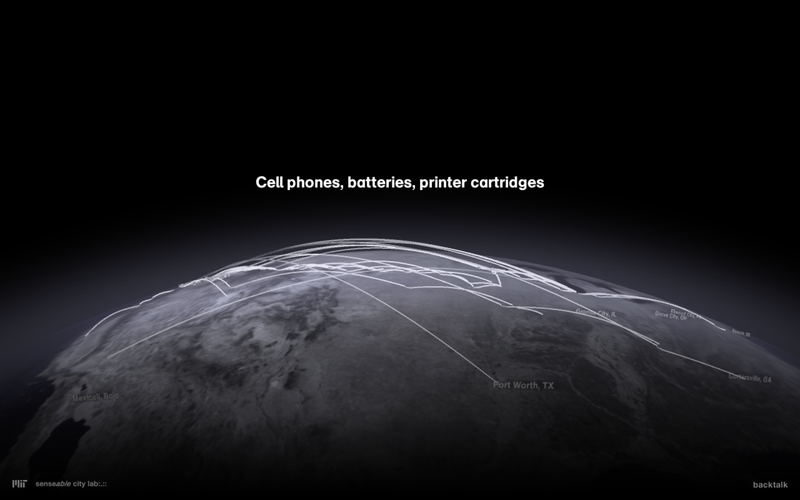 Recorded trajectories of cell phones, batteries and printer cartridges, discarded in Seattle, WA.